We humans are always trying to define our place in the "pecking order" of life. Jesus reminds his disciples that they have to throw away the everyday rules of the pecking order if they are to really be part of his Kingdom. 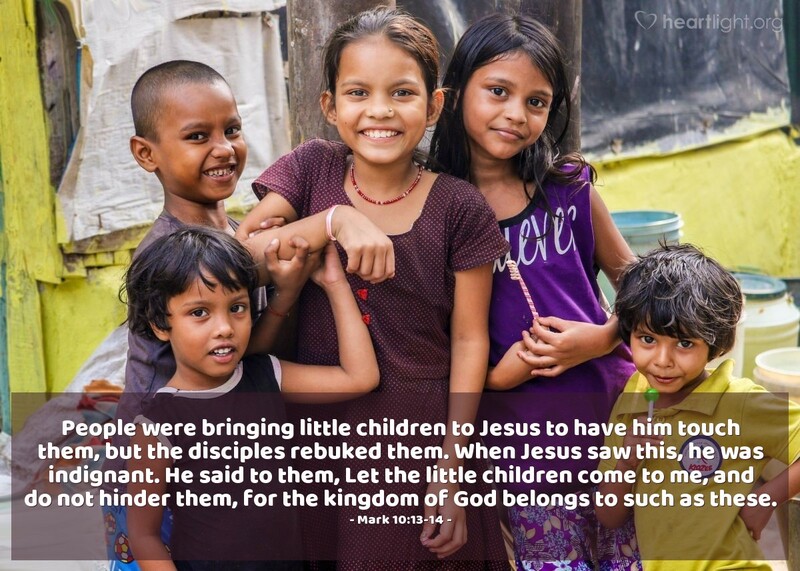 In fact, he was quite angry with them because they denied toddlers' access to him, apparently because these disciples didn't deem the little ones worthy of their Master's time, energy, and attention. Jesus, as he so often did, turned their common worldly values upside down and reminded them they needed to pay more attention to the character of toddlers than their own sense of importance if they were ever going to understand God's Kingdom. Father, thank you for valuing me as your child. Re-awaken in me the wonder, humility, and awe as I seek to live for you and your Kingdom! In Jesus' name I pray. Amen.